He died for our sins on that scary summer day in Cincinnati. Harambe is a legend that will be talked about for years to come. 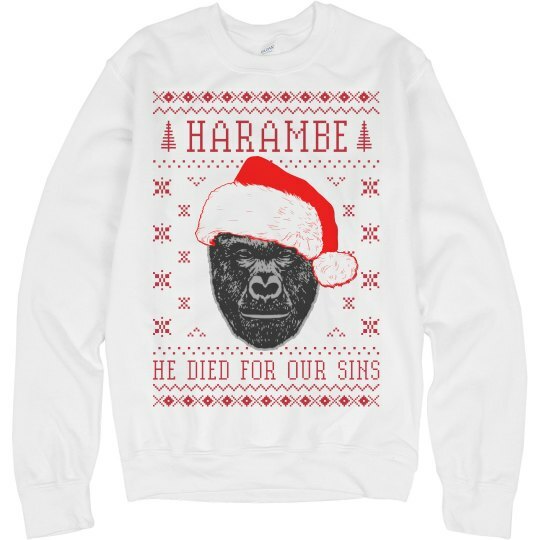 This ugly Christmas sweater is perfect to remember Harambe.